Displacement is a vector, which means that at some point in time an object was displaced from its original origin. Velocity is a vector, which records the rate of change of a displaced object, typically on a time graph. 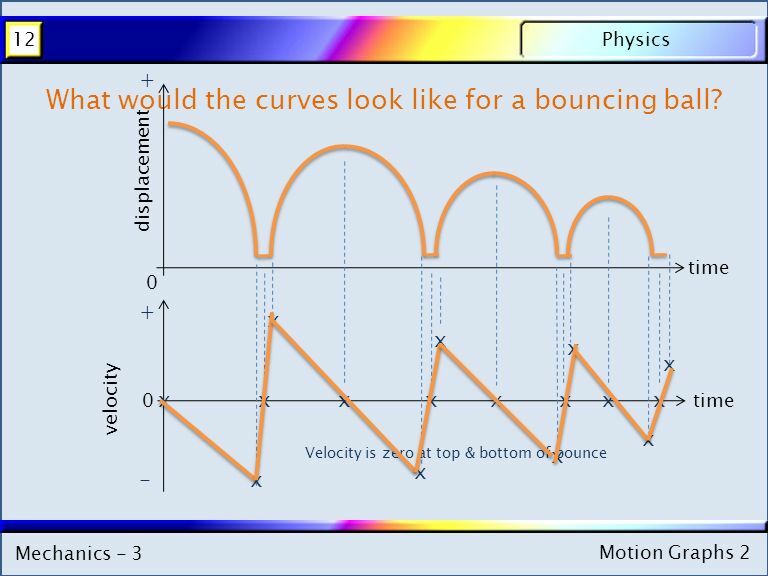 Yes, you see as Velocity = Displacement/Time, To get displacement by its self, we need to get the 1/time over to the other side. The only way to do this is to multiply both si … des by Time/1 to cancel out time on the Displacement/Time side and to make it so Velocity is multiplied by time. 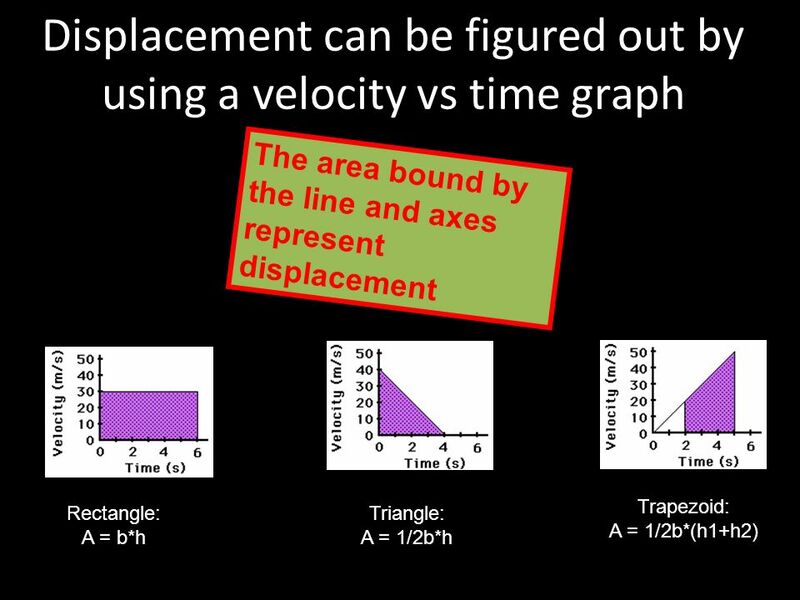 So you HAVE a velocity/time graph, and you want to use it to construct other graphs.-- Displacement. On the velocity/time graph, mark the beginning and end of some period of time.